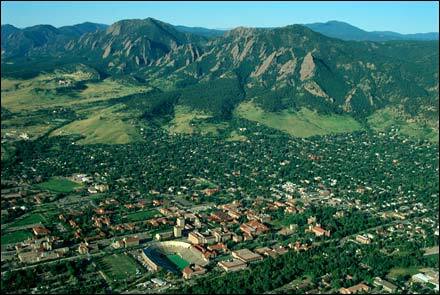 XCel Energy’s SmartGridCity project was supposed to turn Boulder, Colorado into the ultimate smart grid hub. But that’s not how it’s turning out. communication throughout the distribution grid”. pretty dismal for a supposed smart grid leader. Meanwhile, project costs ballooned from $15 million to $42 million (not counting operation and maintenance costs) thanks to unforseen obstacles with permits, software, tree trimming, and rock drilled through to install fiber optic line, according to Earth2Tech. It’s hard to say what caused the failure. Smart Grid News points the finger at bad project management. For example, it says, XCel failed to perform a simple cost-benefit analysis before beginning the initiative. And since the company never filed something called a Certificate of Public Convenience and Necessity (CPCN), the Colorado Public Utilities Commission couldn’t cap costs on the project. We’re not holding our breath. A word of advice for future smart grid cities: take it slow and don’t promise too much. Otherwise, residents might grow wary of the smart grid concept–which, considering our aging electric network, would be a dangerous development.